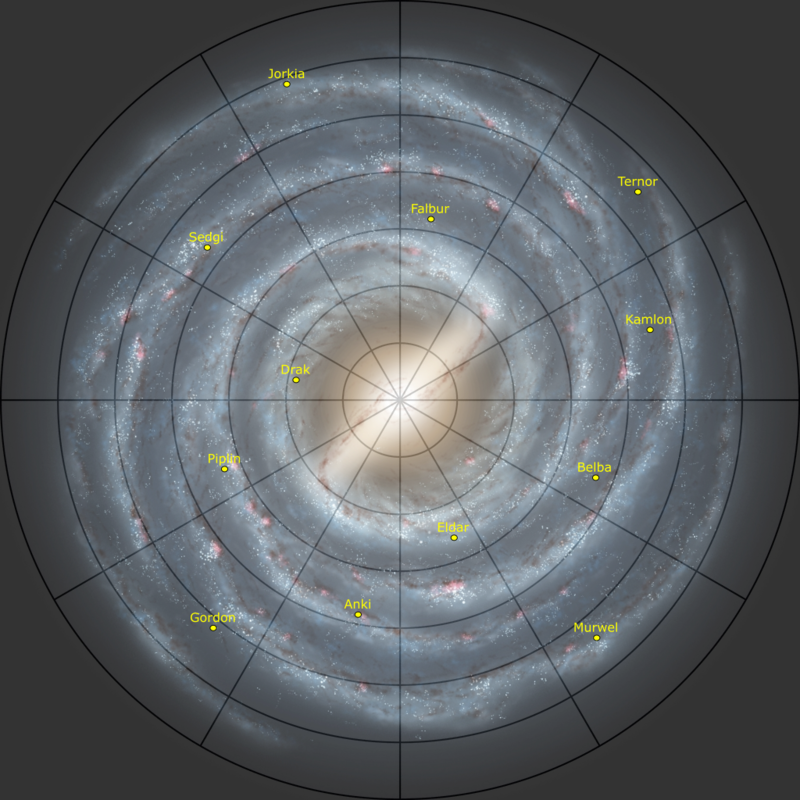 Since the Abzu Galaxy is a parallel galaxy to the Milky Way, we can just use a Milky Way map. The Abzu Galaxy exists in the Akasha Universe. The RIPgates only connect up to 25,000 light years from point of origin of the Abzu Galaxy, so traveling the entire width of the Abzu Galaxy would require at least 4 RIPgates (since the Abzu Galaxy is about 100,000 light years across). Nobody knows why the original 12 RIP Worlds are the only ones linked by RIPs, and thus RIPgates (except for legend).